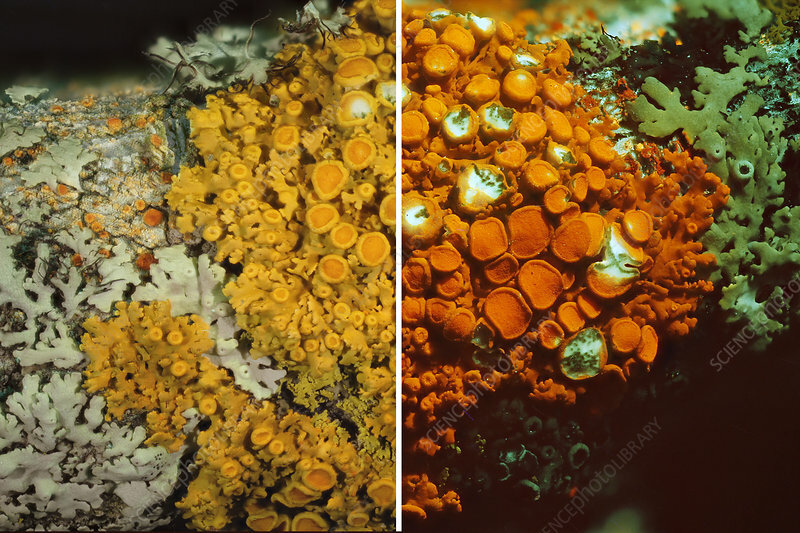 The Orange lichen (Xanthoria aureola) is shown on the left in white light and on the right in UV light. This species glows bright orange under UV lights. Photographed at 2x. The field of view of this image is 16 mm. This is a common lichen in New England. This lichen is often found growing on tree branches. The fluorescent properties of lichens helps with their identification.